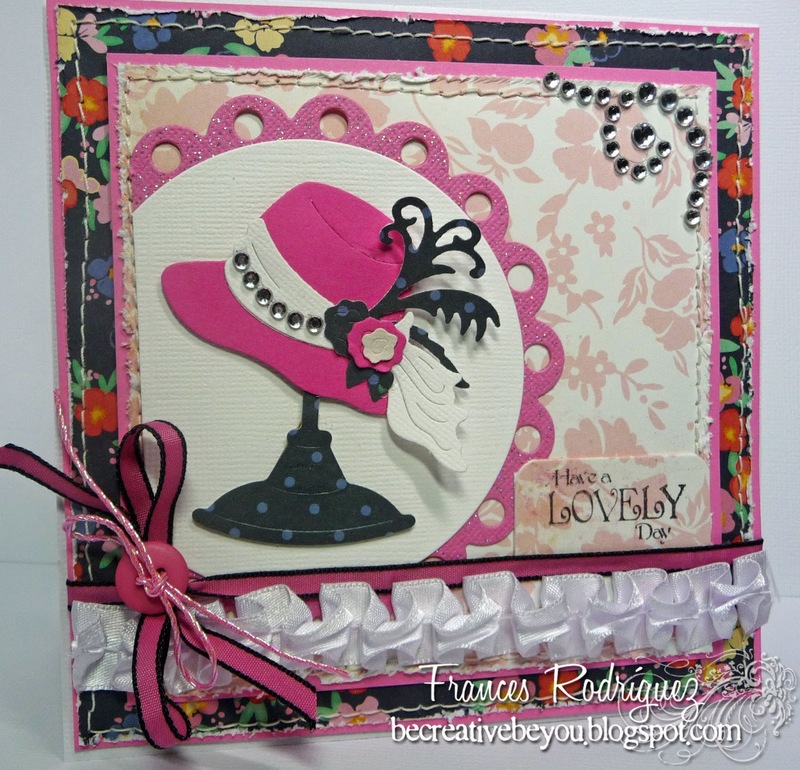 CottageCutz Elegant Hat Box die. Frances this is so pretty. 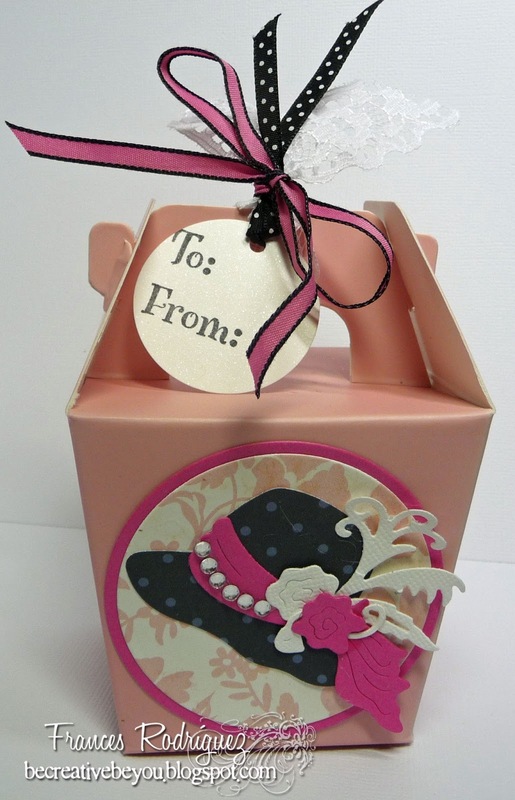 How beautiful your gift box turned out and to think it is a $1 store find. Frances this is just beautiful! 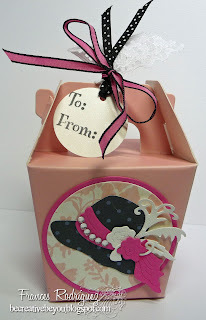 The hat die was the perfect choice to dress the box up! What a great idea!!! Absolutely Beautiful Frances!!! I LOVE how you did the hats, and the stand! 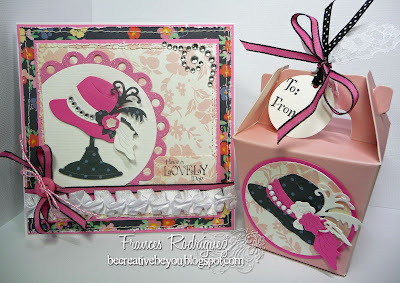 Beautiful box and card!! !